Golden Retrievers are friendly, intelligent and very very cute. They are among the most popular dog breeds in the world. When you see a golden retriever puppy, you can hardy resist an impulse: you want one! But with ownership comes responsibilities and it looks this particular breed has more than an average package coming with every bought pup. For this reason I compiled the most important facts about goldens which should be carefully examined before you make a purchase. Each of them could save you thousands of dollars. Even more important is improving your chance to enjoy with a happy and healthy dog through all of its lifespan. 1. Puppy mills: this kind of dog breeding is based strictly on profit. This means they try to create as much money with sales as possible. Dogs are often bred in shortage of space, hygiene standards are low, dogs don't get individual treatment and all this leads to very high possibility of health and behavioral risk. Puppies of golden retrievers from such facility in most cases end in pet shops and are relatively inexpensive. 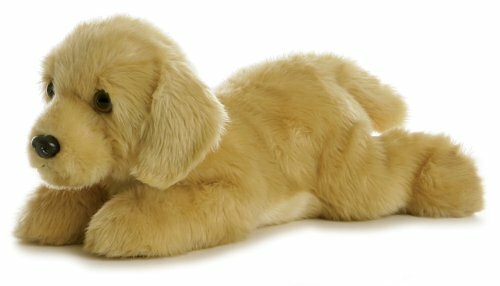 You can get one for few hundred dollars, but you got no guarantee the dog will have no health problems, which in the case of goldens are mostly joints, eyes and heart. 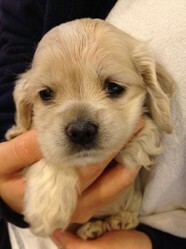 Getting an inexpensive pup could end as very expensive life experience - for you and your doggie. 2. Backyard breeders: most of them are driven more on enthusiasm than profit, but getting a dog from a backyard breeder carries almost the same risks as ones coming with puppies from a puppy farm. Typical backyard breeder can very hardly afford paying for all basic clearances for the dog and it is even more unlikely the same was done for pup's father and mother. Such dogs are also more likely prone to behavioral problems. In the end of the day, you may get a cute golden retriever puppy for few hundreds, sometimes even cheaper than from pet shop store, but the probability of getting a healthy individual is very low, very likely less than 20 percents. 3. Reputable breeders: first sign you are dealing with one is a price tag. Puppy with a proper pedigree and right medical examinations will cost you between one thousand and sometimes close to three thousand dollars, what depends on location (metropolitan area can be twice as more expensive than more rural locations), extras you get with a dog (e.g. micro chipping, toys, vitamin supplements, vaccination, collar, guarantees, ...) and of course the reputation of the breeder. While a good breeder has documented clearances for several (three to six generations) of each sold dog, you have to understand this only improves the probability of getting a healthy dog. If none of its registered predecessors never bit a human, it is only less likely your dog will bite somebody, but it can still happen. And dog can still develop problems in one of more or less typical areas of health problems associated with golden retrievers. Good dog breeder will never breed dogs with known health issues and will never sell a dog to a person without first checking his or her home. We won't go into details, but let's list only the most devastating statistics which may too quickly turn your dreams into a nightmare. Cataracts (eye disease) are diagnosed at 7 percent of goldens older than seven years. Hip dysplasia (joint issue, which often leads to very painful arthritis) affect 20 percent of population. Elbow dysplasia (joint issue, common with many larger breeds): 10 percent. Osteochondrosis (another common issue with joints): 15 percent. Subvalvular Aortic Stenosis (heart condition): 44 percent of goldens suffers of more or less dangerous 'heart murmur', which can be more or less dangerous, but in all cases carefully monitored and treated with right life style and medications. Cancer - Lymphoma, Hemangiosarcoma (sorts of blood cancer) and Osteosarcoma (sort of bone cancer) affect old older dogs and are cause of death of about 60 to 70 percent of golden retrievers with expected lifespan of eleven to twelve years. All in all expect to spend some money on regular checkouts at vets, medication and very likely some more expensive procedures. Many owners establish emergency funds for such cases ranging from one to five thousand dollars to have resources hand if something like this happens. When your best friends becomes ill, you won't have time to asking around for a loan. Golden retriever is not a demanding dog breed in general, but still needs regular exercise. After all, they were bred as hunting dogs and their bodies are made for jumping, running and swimming. If you can't afford to spend at least one hour per day with your golden, this dog is probably not right for you. Another criteria is sociability. Goldens are very sociable and they are not dogs to be kept in the backyard without company. They make great playing companions, so expect to devote some time to spend with them on regular basis. On the other hand they love to play with other pets too and they definitely don't belong into the group of jealous dog breeds. If you think one thousand dollars is a lot for a golden retriever puppy, you probably don't understand how much will a dog cost you. Expect to spend between 500 and 1000 dollars per year for food, few hundreds for routine vet checks and unknown amount of money for toys and other unexpected expenses. Relatively routine procedure, like taking a sock out of your dog (yes, they do that quite often), for instance, will cost you around one thousand bucks. Neutering will cost you about 300-500 dollars. 1. Ask in advance: when the situation comes, you will known alternatives (if any) and have more chances to decide. 2. Set some money aside for emergencies. With some discipline you'll have few thousands if something happens. 3. Think about pet insurance. It is becoming more and more popular choice for millions of dog owners. Golden retriever are heavy shedders. You will need a quality brush (or more brushes) and undercoat rake to maintain all the hair which will inevitably fall off during season changing. Most important of all is to maintain golden's hair regularly, what means you will need to set some time aside. This is in vast majority of cases pretty nice experience (shall we call it quality time? ), but it's good to know you'll need to set aside more time for grooming, trimming and cleaning than for most other pets. Regular bathing is also a must. Goldens are relatively big animals, and with all activity their odor can add to very unpleasant odor which can easily dominate your home. While you are at work, please check dog's nails too - they should stay relatively short. Don't forget the ears - they are susceptible to all kinds of infections and you need to control the hair inside and outside, properly clean it and so on and on. Maybe you should start with a plush golden? Yes, it's almost like having a kid. And it delivers almost as much happiness if you express the needed responsibility! Want to find a breeder? What do you really need to know before buying a pup? Enjoy in free photos of golden retrievers! What Do You Think About Buying A Golden Retriever Puppy? Aurora Plush Goldie Flopsie - 12"
Are you expecting guests for Thanksgiving dinner and would like to know how to set the table? Here are few hints and tips. There are three major players among free blogging platforms and Blogger (Blogspot) is one of them. It's particularly interesting because it is owned by Google.